Highly recommended! 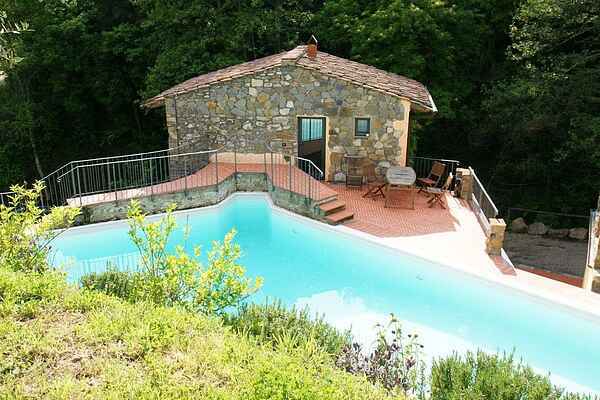 Small but beautiful, this serve delicious "nest" with pool in the Tuscan hills near Florence. It is with an eye for detail and tastefully renovated and decorated with beautiful things, it is the ideal place to enjoy, in the middle of all the cities and the beautiful Tuscan countryside in a secluded place where you after a day of sight-seeing relax in the swimming pool or in the hammock. The function of this house used to be to enhance the flow of water into the mill through a connecting pipe that was cemented at the bottom of the basement. The pool is now in the area that used to be the water channel for the mill. The real mill is next to il Mulinetto. In this building there is one room that used to lay underground, where once functioned the centre of the mill. (the horizontal axis in association with the grind). The mill is between the confluence of two small rivers.